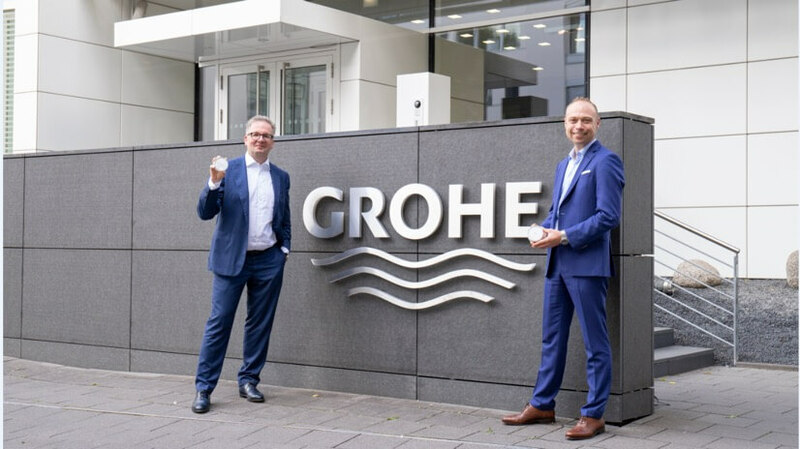 GROHE benefits from access to cloud technology and the network of relayr, an IoT expert that has recently announced an agreement to be acquired by its long-time strategic partner Hartford Steam Boiler (HSB), part of the Munich Re group, one of the world’s top providers of reinsurance, primary insurance and insurance-related risk solutions. Düsseldorf, Germany, 5 October 2018. 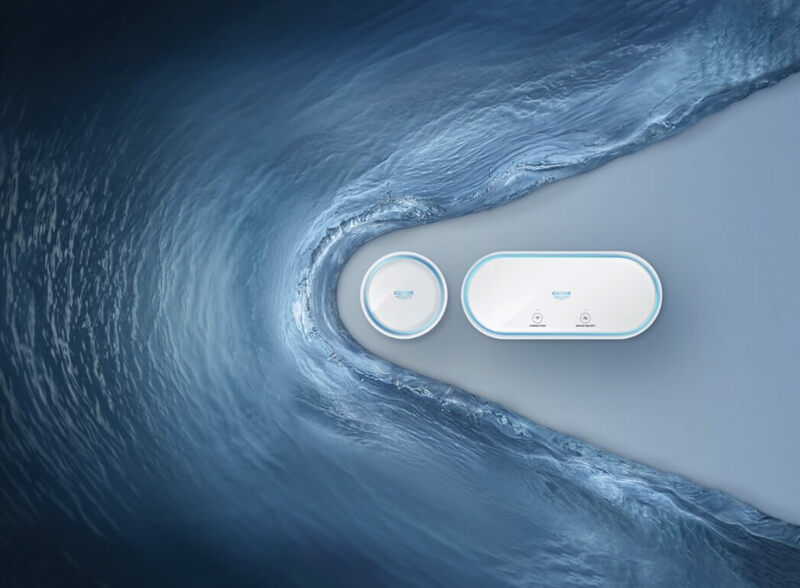 GROHE, the world’s leading provider of sanitary fittings, and relayr, an Internet of Things (IoT) expert are forming a partnership together to jointly reduce the risk of water damage. The partnership enables GROHE to access the technology and network of relayr, which will help to connect the intelligent water security system GROHE Sense more flexibly and faster with other IT ecosystems and networking platforms, especially those that are run by insurance companies. GROHE’s Smart Home solution monitors humidity, detects water leaks, immediately gives warnings and shuts off the water supply automatically. In more than half of the households (54%) in Europe, water damage has occurred at least once. relayr provides first-class IoT solutions and makes them available to customers on an individual base. The company also combines its technology know-how with high-performance financial and insurance services. The open technology architecture allows for other companies to be integrated easily into GROHE’s existing infrastructure. Insurance companies, for example, can offer their customers the reliable GROHE Sense water sensor and the smart GROHE Sense Guard control unit, both of which they can use via their own technology platform. As a market leader, relayr has already proved in many highly scalable projects that they can integrate millions of devices while operating consistently. The acquisition by HSB of relayr is scheduled to close later this month, subject to regulatory approvals and other conditions. Michael Rauterkus, CEO of GROHE and Josef Brunner, CEO of relayr (from the left to the right), join forces in the fight against water damage. Both are holding the water sensor GROHE Sense in their hands, that plays an important role to prevent damages and costs. The GROHE Sense system monitors humidity, detects water leaks, immediately gives warnings and automatically shuts off the water supply. GROHE is the world’s leading provider of sanitary fittings and has a total of over 6,000 employees, 2,400 of which are based in Germany. GROHE has been part of the LIXIL Group Corporation since 2014. As an international brand, GROHE pursues the brand values of technology, quality, design and sustainability, seeking to offer the “Pure joy of water”. GROHE has been developing new product categories since its inception. This includes the GROHE Blue and Red water systems and the recently-introduced GROHE Sense water security system, which is an innovative component in the growth market of smart home technology. Innovation, design and development are closely aligned with one another and are enshrined in the German site as an integrated process. As a result, GROHE products carry the seal of quality “Made in Germany”. In the past ten years alone, more than 300 design and innovation awards as well as several top rankings at the German Sustainability Award have confirmed GROHE’s success. GROHE was the first in its industry to win the German government’s CSR prize and was also featured in the renowned Fortune® magazine’s ranking of Top 50 that are “Changing the World”.